Does My Skin Care Routine Need to Differ From Day Versus Night? Updated 3/27/15. Without a doubt, it is imperative your skin care routine be different in the morning than at night – or at least for a few products. The reason why you have to use a different routine in the morning than at night is because your skin has different needs during the day than when you are asleep. Did you know? According to the medical journal of Plastic and Reconstructive Surgery, a study concluded that sunscreen is the most biologically active anti-aging ingredient in skin care products. 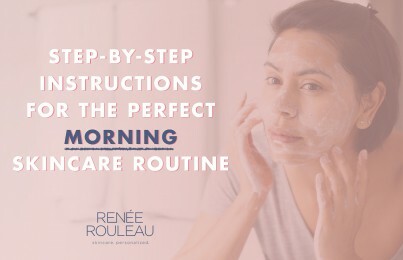 Step 1: In the morning, wash your skin with a mild, sulfate-free cleansing gel to rid the skin of your previous nighttime skin care products, as well as any sebum residue that was released on the skin while you slept. Step 2: Apply an alcohol-free toner to the skin to remove cleanser residue and provide hydration and nourishment to the skin cells. Step 3: Apply an antioxidant serum to the face, neck, and any exposed chest area. I personally use and recommend Vitamin C&E Treatment. Step 4: Apply a sunscreen (minimum of SPF 30) to the entire face, neck, chest, ears, and any other exposed areas. Daily Protection SPF 30 is very light and great for all skin types. Step 5: Apply mineral-based powder makeup like ColoreScience SPF 50 Mineral Powder to provide added sun-protecting benefits to the skin. If your eyes get dark and puffy in the morning, use a cooling eye gel like Vitamin C Eye Brightener. At night, your skin is in its reparative state. While you sleep, your skin is at rest and is not being exposed to the environmental stressors that greatly contribute to visibly aging the skin. 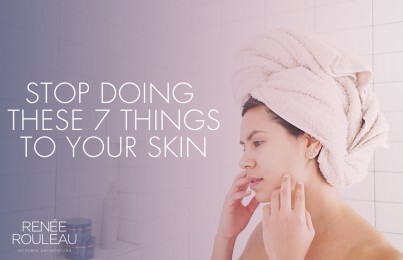 I truly believe that by washing your skin at night and performing a nighttime specific routine, you can really help repair your skin and control how quickly your skin ages. Since your skin is not exposed to the environment, the focus should be on providing hydration and nourishment to the skin cells to help keep your skin’s moisture barrier intact to retain proper moisture levels in the skin. Your skin cells are like fish, they need water to live, and when they do not have the hydration they so desperately need to maintain health, your skin will not look its best—and won’t act its best either. In addition, the skin also needs a serious boost to its metabolism and this can be achieved with skin serums that contain effective performance ingredients. Retinol is one such ingredient because it penetrates deep within the dermis and evokes stimulation right where collagen fibers are created. It is considered to be one of the most miraculous ingredients for smoothing the texture of the skin, softening lines and wrinkles and reducing pore size. 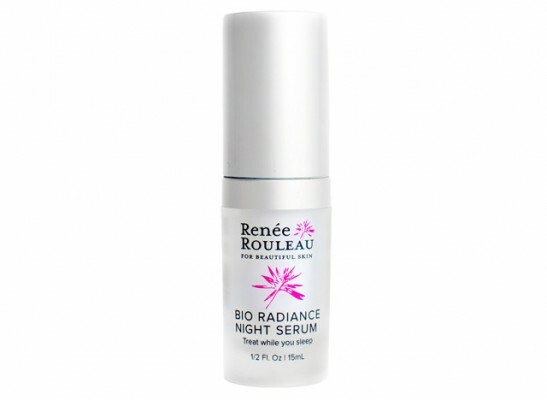 Advanced Resurfacing Serum with pure retinol is the most effective anti-aging product I use in my routine. If you’re not using this type of product, you really need to be. Read this story about the doctor I met who was instrumental in getting prescription retinoids FDA approved. Step 1: Wash with a mild cleansing lotion to remove the day’s dirt, oil, bacteria, and makeup. Rinse well. Step 2: Apply an alcohol-free toner to remove cleanser residue and provide hydration and nourishment to the skin cells. Step 3: Use a nighttime specific anti-aging serum to the face, neck, and chest area to help nourish and repair the skin and its cells. Step 4: Apply a nighttime moisturizer suited for your skin type to help hydrate your skin cells. Apply to the face and neck. Step 5: Apply a nourishing eye cream to provide essential hydration to the delicate skin around the eye. By treating your skin with what it needs both morning and night, you are sure to get both healthy and glowing skin. Read: Should You Get Dermal Fillers To Your Face To Look Younger? It definitely sounds like you need to be doing some good exfoliation to manage the flakiness as well as fading the dark spots. You can read more about exfoliation here. Thank you for all your wonderful blogs. I have a quick question, I am kind of confused in the morning routine. Is the serum that is used as the third step, is that like a moisturizer? I currently cleanse my face use a moisturizer then use sunscreen. I want to work toner and serum in to my morning routine but I am just curious as to what I do with my morning moisturizer then. Thank you!!! So glad you’re enjoying all my posts! No, a serum is definitely not a moisturizer. It does not provide the protection and a barrier on the skin the way a moisturizer does. For more information on the importance of using a serum, read here. Do you recommend using a lightweight night cream for summer, as well as a lightweight sunscreen? Yes, lightweight is always the vest way to go, especially if your skin is oily. Hi Renee! I love your blog and thank you for the informative article. I was wondering if I should use a vit c serum or an anti oxidant serum or both?! With so many options its very confusing.